Discussion in 'Sim Racing Hardware' started by GTPNewsWire, Nov 26, 2018. This article was published by Kyle Patrick (@SlipZtrEm) on November 26th, 2018 in the Hardware category. Dogwolf77 and super_gt like this. I think it is a fair price if we consider the ts-pc price for example. With this set it is like buying ts-pc , 2set pedals and the BT display from Thrustmaster eco system in the price of the wheel alone. 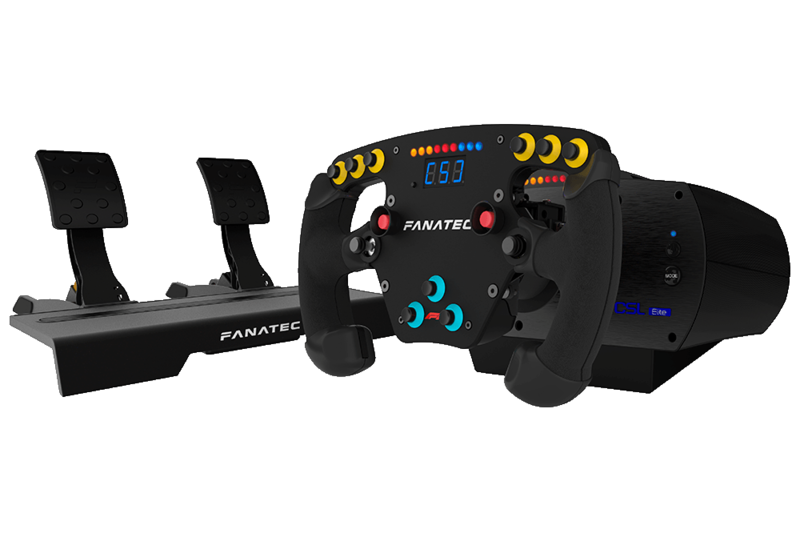 In this Fanatec set you have way better pedals way better FFB options through the base menu, but only rev/speed/gear indicator. Knukel, super_gt and ANDRITSOULAS like this. Its a very nice wheel, i recieved it to day for my son. After 5x dead t300 on the ps4. Its great but we have a problem the wheel is 5 -10 degrees of center. We tried to center the wheel with the small black button and then push the two sticks but nothing happend. (on the ps4). I don’t have this specific wheel but I have the PS4 wheel base and when setting my steering center point I have to try it 2-3 times before the center point actually takes. If yes to question 1, then the price would be a little more worth it. If not, its a definite no, until such a time it is supported on PS5. Only Fanatec and Sony know the answer to that. I got this last week with the load cell. Feels like a big adjustment from G29. Seems like BRF setting is reversed from what I’ve read. I’m running 30 currently. I cannot hit full braking with it set at 100. Turning it down makes it require less force to hit full braking. Any ideas why? That's the way it is. BRF is the maximum Brake force to get 100% input. Anyone know the compatibility with GT Sport? I know the wheel base is compatible but how about the wheel and button selection. Yes. The only thing is the LED display is only for settings. It doesn’t show gear. Everything else works awesome including the funky switch on the right for TCS and etc. Can you change the button selection etc? As the menus don't yet have the selection for the wheel, do you just choose the standard call elite wheel and configure through that? The system recognizes the base not the rim so all rims show as CSL I would guess. I haven’t tried changing the buttons. Next time I’m on I’ll try to remember to look at it. PocketZeven and Pluxtheduck like this.